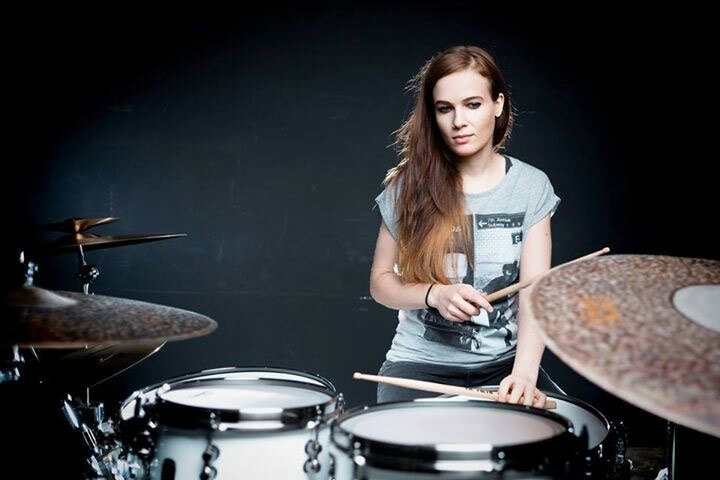 In the first of a new series of videos, drummer, vocalist, multi-instrumentalist,YouTube sensation and Cympad Artist Elise Trouw, talks about how she uses Cympad Moderators to customize her cymbal sound in live and studio situations. More Cympad Moderator videos featuring Rico Nichols (Kendrick Lamar), Elise Trouw (YouTube sensation), Tiki Pasillas (Arturo Sandoval), Aaron Serfaty (USC School Of Music) and Johnny Rabb (Collective Soul) will follow soon. Cympad’s 2018 mini-catalog is now available from the Cympad website as well as at selected drum dealers in 45 countries around the world. The new brochure offers images and information on the full range of Cympad Optimizer, Chromatics, the new Chromatics SE and Moderator cymbal washers made from the company’s advanced, cellular foam material. Photos of more than 2 dozen of Cympad’s top endorsers are featured on the back cover of the catalog, too. Here's the new video from Cympad featuring company owner Reto Hirschi along with world-renowned drummer Rich Redmond (Jason Aldean) discussing and demonstrating the sound and performance benefits of Cympad Optimizer, Chromatic and Moderator cymbal washers. The videos also include performance footage of Redmond and Reto as well as super-slow-motion film documenting the enhanced cymbal response of Cympads compared to conventional felt washers. 2016 Cympad Mini-Catalog Now Available. Cympad’s 2016 mini-catalog is now available from the Cympad website as well as at selected drum dealers in 45 countries around the world. The new brochure offers images and information on the full range of Cympad Optimizer, Chromatics and Moderator cymbal washers made from the company’s advanced, cellular foam material. Photos of more than 2 dozen of Cympad’s top endorsers are featured on the back cover of the catalog, too. 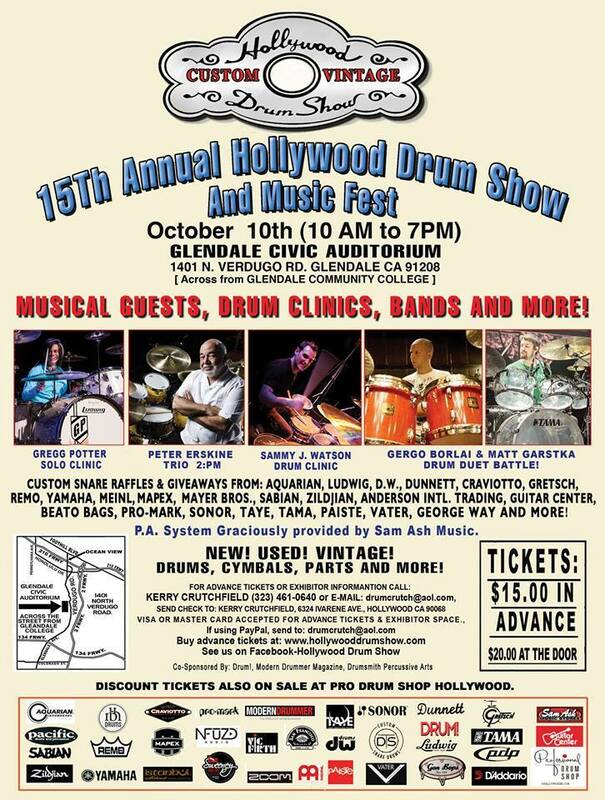 Join us at the Hollywood Drum Show at the Glendale Civic Auditoriumon Saturday, October 10. Cympad will be sharing a booth with Ahead Drumsticks & Accessories, Ahead Armor Cases and KickPro Bass Drum Pillow. See you there!